No family or estate is immune to a dispute developing after a person’s death, although there are things that can be done to arrange your affairs to ensure the risk of a dispute developing is reduced. The estate of the former NSW Premier, the late Neville Wran is currently involved in legal action before the Supreme Court of NSW to consider whether adequate provision has been made for Mr Wran’s adopted son, Glenn Wran. At this time, it is not clear whether Mr Wran’s other children will also seek to join the proceedings, or whether they have received adequate provision from the estate. It is worth noting that a legally adopted child has the same rights as a biological child pursuant to the Status of Children Act (NSW) 1996. Whilst all the evidence is not yet available for the Court to consider, it is reported that during his life, Mr Wran held significant assets estimated to be worth around $40 million. Despite Mr Wran holding significant assets during his life, it appears not all of those assets have become part of his deceased estate. The Court has been informed that Mr Wran’s actual estate is thought to only be around $500,000.00. This can happen for a variety of reasons, including that his assets were held in some form of trust, they were gifted away prior to his death or the assets were held with Mr Wran’s wife, Jill Wran as joint tenants. In such circumstances, Chapter 3 of the Succession Act (NSW) 2006 (which is often incorrectly referred to as the Family Provision Act) allows eligible persons to make a claim against an estate to seek adequate provision. Where the estate is insufficient to meet the needs of the eligible applicant and the other beneficiaries of the estate, the Court may use notional estate provisions to order provision out of other interests held by the deceased during their lifetime. The Court’s power is not unlimited, however, and assets may only be designated as notional estate to the extent necessary to allow adequate provision to be made for the applicant and if it is found that a relevant property transaction has occurred. Importantly, a relevant property transaction which is defined in the Succession Act can include an act or omission of the deceased to exercise a power of appointment/nomination, result from a failure to sever a joint tenancy before death and/or result from holding an interest in a trust with others which is not extinguished prior to death. It is also required that the Court consider whether full valuable consideration has been passed in the act or omission that has resulted in notional estate existing. When the transaction occurred is also important, and time limits do apply. Mr Wran was obviously an individual of high net worth, but upon his death, and due to the structure and manner of his investments, his estate will be considered to be modest by the Court. 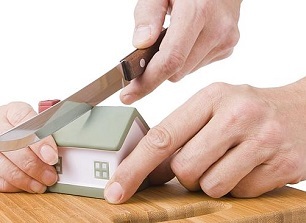 There is also a risk that cost capping orders could be made by the Court due to the small size of the actual estate. Fortunately, before the matter is heard at a final hearing, the matter will be referred to compulsory mediation to see if a resolution can be reached between the parties. We have no way of knowing until further evidence is put forward whether the late Mr Wran held his interests the way that he did by design, or through the natural course of living life absent serious consideration of estate planning matters. If there is one thing that you can learn from this matter, it is that death is inevitable and whether planned or unplanned, your estate will need to be administered and distributed after your death. If you are unsure whether your Will is up to date, whether you have considered how you hold your assets and how they may be disposed of after your death, we encourage you to contact us to discuss your situation. Similarly, if you are considering contesting an estate, give some consideration to what assets may have been held by the deceased but which may not become part of their estate. It is possible that notional estate provisions may apply.